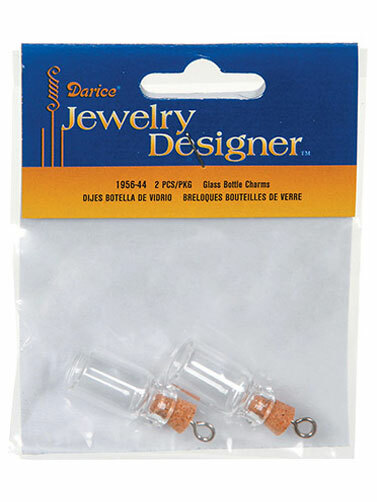 Use these Glass Bottle Charms with Cork Stopper for creating jewelry or miniature crafts for your Halloween displays. Fill them with sand or liquid and personalize with a label for a bottle decoration all your own. Glass bottles with cork stopper with attached eye screw. Eye screw opening is 3mm. 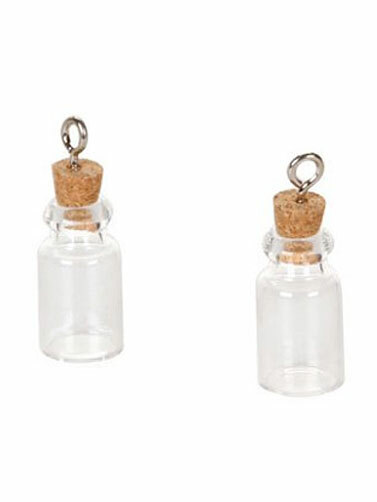 Glass Bottle Charms with Cork Stoppers measure 22 mm. 2 pc.